— Cllr suggests cyclists use “a footpath where cyclist can go along in the normal course of events”. — Second Cllr highlights “200,000 people within 1km of the Dodder”. Cllr Dermot Lacey has accused the National Transport Authority of trying to build “some sort of cycling motorway” cycle route along the River Dodder. He made the comments in a debate on a cut in funding for cycling projects at the monthly meeting of Dublin City Council on Monday night. Cllr Lacey’s comments follows a recent Dublin City development plan motion in his name which included the line: “Any Greenway proposal should adapt to the existing Dodder, as it would be entirely counter-productive to introduce a cycle highway that diminishes the environment for existing users as well as those potential users it seeks to attract.” However, that motion is not as stark as his more recent motorway comments on Monday, as a “cycle highway” is poorly defined — in other countries “cycle superhighways” range from painted cycle lanes on roads to segregated cycle paths on main roads to segregated paths on green routes. His comments in full can be heard by watching the webcast of the meeting — here’s a direct link to what he said. While his motion is republished below in full. IMAGE: There’s as more wide areas with grass then there is narrow pinch points on the route. To be fair to Cllr Lacey, it should be stressed that he is not alone in thinking that the Dodder would be best served by narrow shared paths. He’s just upfront and vocal on the issue. Other councillors, some TDs, and some cycling campaigners seem to be supporting the same thing or at least don’t want to rock the boat. Many like the idea of segregated cycling as seen in the Netherlands and other places, but they continue to support mixing walking and cycling, even after the result of Ireland’s experiments in shared footpaths to date had led to needless conflict, annoyance and injury. With stories like this some people always ask: “Do they know what cycling here is like?” or “Do they cycle? So, it’s worth highlighting the fact Cllr Lacey is a cyclist and he cycles around the city. But it would not be the first time that a councillor who cycles in Dublin or elsewhere either supports another solution or opposes high quality segregated cycle paths. It’s really a moot point whether he’s a cyclist or not, cyclists disagree on things all the time, often strongly. Within the Dodder Greenway, there seems to be three main lines of thinking: (1) keep the paths much as they are now, so shared narrow paths and do relatively minor upgrades, (2) have wider paths where possable but they would be still be shared paths and have some quicker detour sections for commuters, and (3) have segregated cycling and walking routes, detour cycling to the opposite riverbank where needed and take space from cars rather than nature. Dodder Action and a signifent number of local polititions seem to currently favour the first option; officaldom in the NTA and councils seem to favour the secion option; and IrishCycle.com somehwhat feel like we’re out on a limb with the final option of segraged cycle route. Although we have received a huge amount of public feedback online and retweets in support for it. In a previous article we detailed how the River Dodder Greenway can be a commuter cycle route and respect its unique walkways. IMAGE: Existing local roads can be used so that the cycle route avoids some of the most unique walking paths. 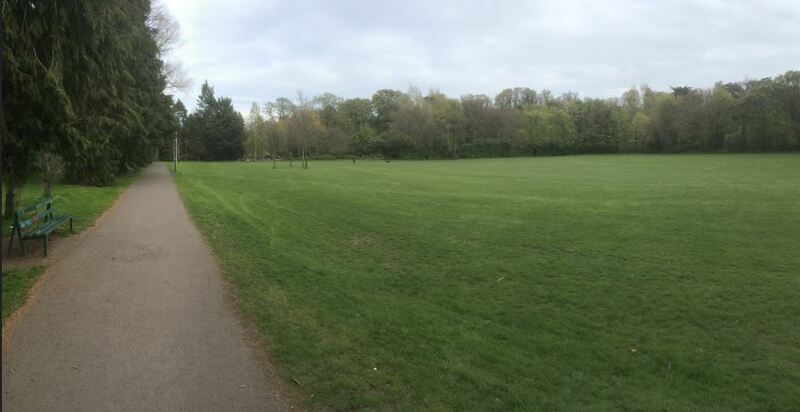 The approach taken by the likes of Dodder Action and Cllr Lacey is wrong — by connecting the greenway and making it more usable to cyclists will attract higher numbers of people cycling and shared paths don’t work. Shared paths cause conflict. The Dodder Greenway won’t be just a tourism greenway in rural Ireland. Many of the areas within its direct reach has some of the highest percentage of commuter who cycle in Ireland. It link both local and city-level employment areas with residential areas. It will be used by just by tourists ambling along but also by school children and commuters in a rush — if it’s anyway successful there will be larger amounts of people of all ages cycling on the route. Segregation is feared because it is perceived it causes careless speed (it does not, people who speed carelessly also do so on footpaths and shared paths), but segregation of walking and cycling takes away a lot of the conflict. 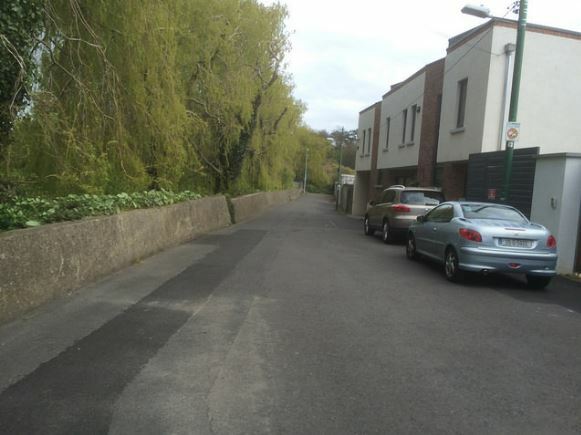 Cllr Lacey’s motion states that the “unique aspects of the Dodder that must be protected because they are precisely what will ensure its attractiveness and success as a Greenway to be proud of” — we would strongly agree with what he says here, but, again, the best way to do this is a segregated cycle route. If councillors wanted, they could allow people on bicycles who want to amble along to continue to do so slowly on the existing paths, but for commuters of different types a segregated cycle route is the best solution. It’s easy to talk about the idea of high-quality cycle routes and how cycle routes are good for safety, tackling congestion, the environment, climate change and healthy lifestyles. It’s harder to choice to fight for high-quality cycle routes. Which option are our councillors and TDs going to take? Are people who want a high-quality cycle route making their views known? proposes a ‘Dodder Greenway’ for a ‘mix of amenity and commuter cycling’. anglers and tourists. It has the potential to become a major attraction in Ireland and abroad. potential users it seeks to attract. I have to say I don’t like the phrase “cycle superhighway”. I think it fuels the negative stereotype of cyclists as would be racers flying along with no regard for others. I prefer to simply talk about “segregated cycle tracks”, like the one beside the Grand Canal. The canal route is an excellent example of preserving the integrity of the walking route and still providing an excellent cycle infrastructure. The route isn’t perfect, and includes some pinchpoints. However, these are relatively small concessions for a high quality piece of infrastructure. The route is used by commuters of all abilities, children of all ages and tourists. The nature of two-way cycle tracks makes it easy to overtake slower cyclists, making it user friendly for everyone. The Grand Canal cycle track should be the benchmark for Irish cycleways. This would dispel comments like: “that wouldn’t work here”. So I agree with Cllr Lacey, that we need to preserve the best features of the Dodder. The best way to achieve that is with a segregated cycle route.